Good afternoon everyone! I hope you are all having a wonderful weekend! Today I am dropping in on this rainy day to share my latest Fit Snack Box. This month’s box had a lot of my favorites and a few new products for me to try out. Going into the holiday season always makes it tough for me to stick with healthy snacks so thanks to Fit Snack, my work bag always has reasonable snack options to turn to when the sweets come out. 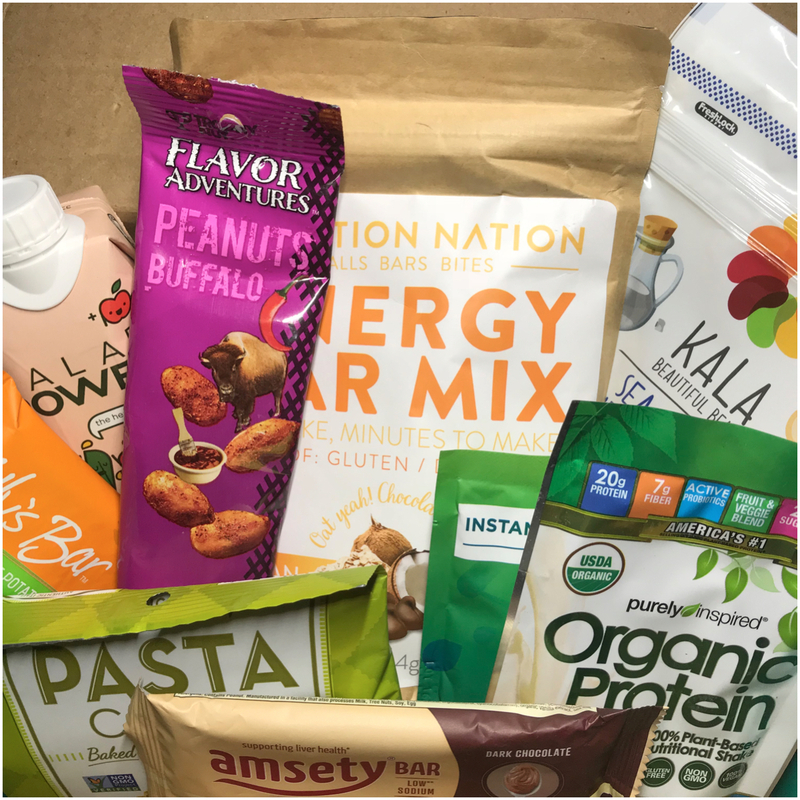 Let’s dive in to a closer look at the September Fit Snack Box. Pasta Chips – Inspired by an authentic Italian snack from the hills of Tuscany. Pasta Chips are a healthy take on a classic recipe. Made from Durum Wheat Semolina Flour, the main ingredient found in premium pastas, each chip is carefully cute to create the perfect edge and then baked until golden brown. 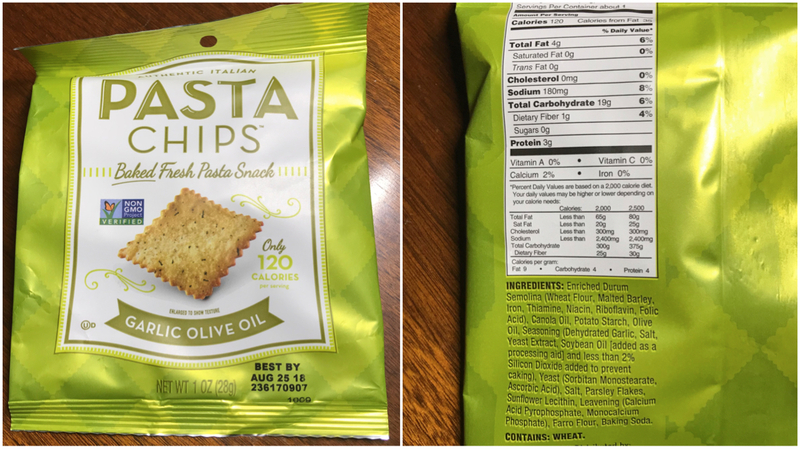 Only 120 calories per 1 oz serving, NonGMO and 60% less fat than potato chips. I am always thrilled to find these in my box, so delicious!!!! 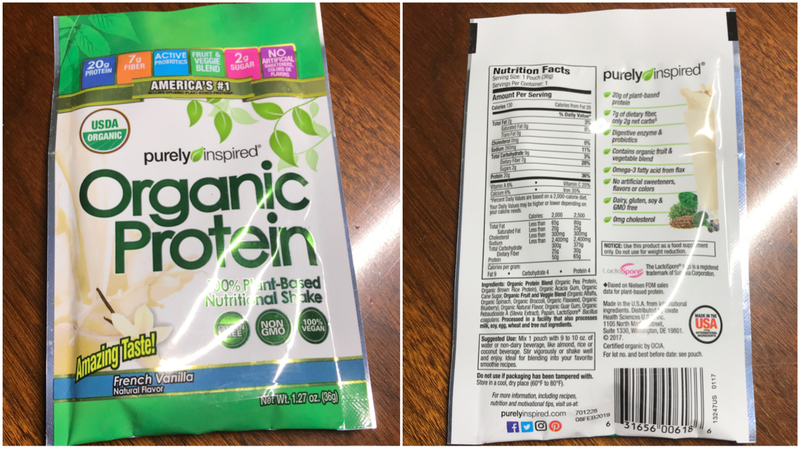 Purely Inspired Protein – Nutrition you want, taste you crave – Purely Inspired Organic Protein provides 20g of protein, 7g of fiber, only 2 grams of sugar, and nothing artificial. It’s a delicious choice you can feel good about. I love these convenient little packs, perfect for those midday pick me ups. 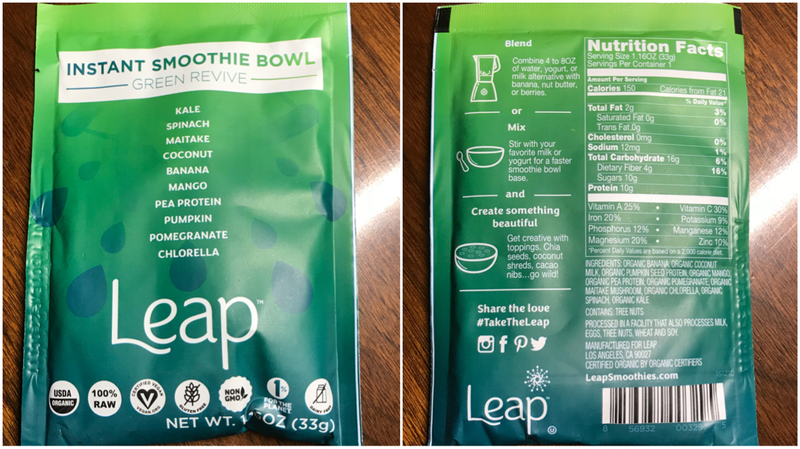 Leap Instant Smoothies – Leap Instant Smoothies & Bowls deliver all the raw & organic fruits and vegetables you need in under a minute, saving you time and effort so you can focus on what makes you happiest. This was a new to me product this month and look forward to giving a try! Trophy Nut Peanuts – Enjoy a sensational snack experience. 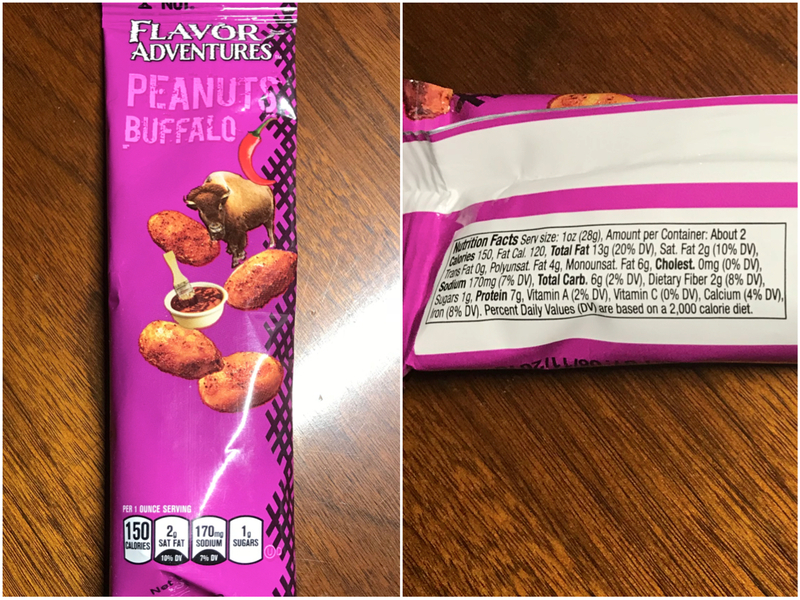 Experience Buffalo Blast big flavor peanuts, low sodium, and cholesterol free. OMG!!!! These are so good!!! Can I get 10 lbs delivered to my door….NOW?!?! 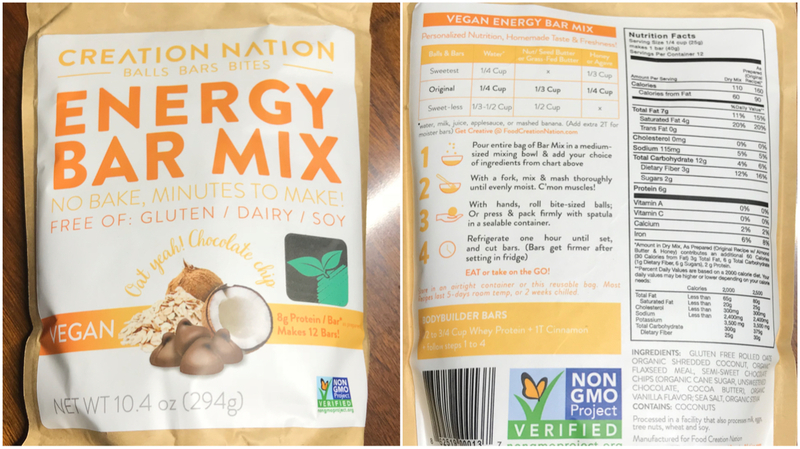 Creation Nation Energy Bar Mix – This appears to be a bonus item this month but I have not seen this in any of my boxes so do not know a lot about the company. I am certainly intrigued by the product and can’t wait to try making some of these. They look to be perfect for packing in my hike bag for my upcoming Fall walking trail trips! 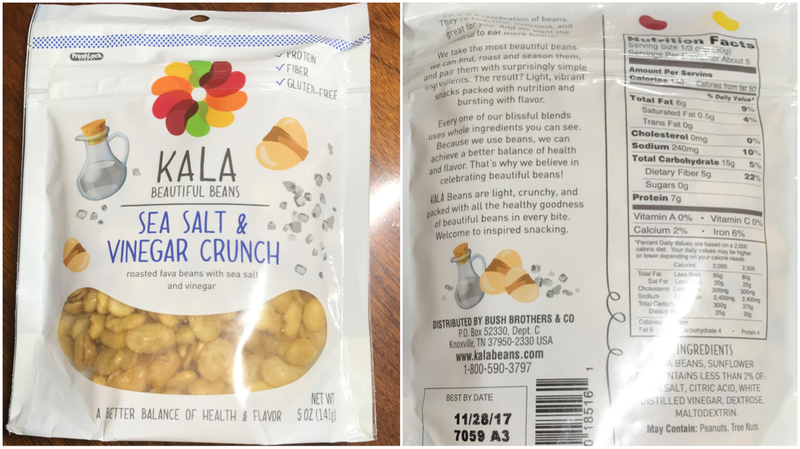 Kala Beautiful Beans – Back by popular demand! Every Kala snack blend is packed with crunchy, wholesome fave beans. Always beautiful and delicious, Kala is the perfect combination of healthy and flavorful. These guys are so tasty! I have to be cautious on over eating though, they are that good! Ally’s Bar – Ally’s passion for healthy food and natural ingredients energized the idea to make her own bar. 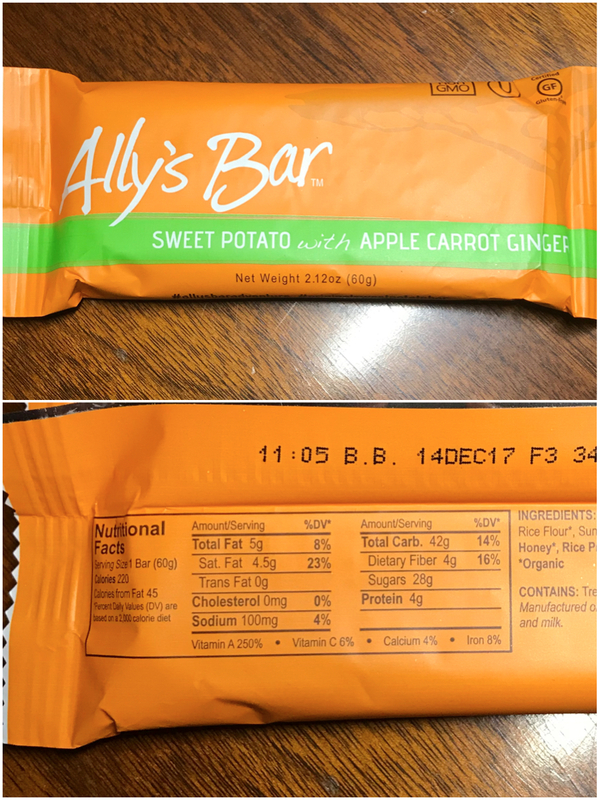 She blended sweet potatoes, with all of her favorite non-geo, gluten free, and kosher ingredients to make each Ally’s Bar. What began as a homemade snack to help fuel her adventures as a pro cyclist, quick turned into a mission to create the best tasting bar ever. 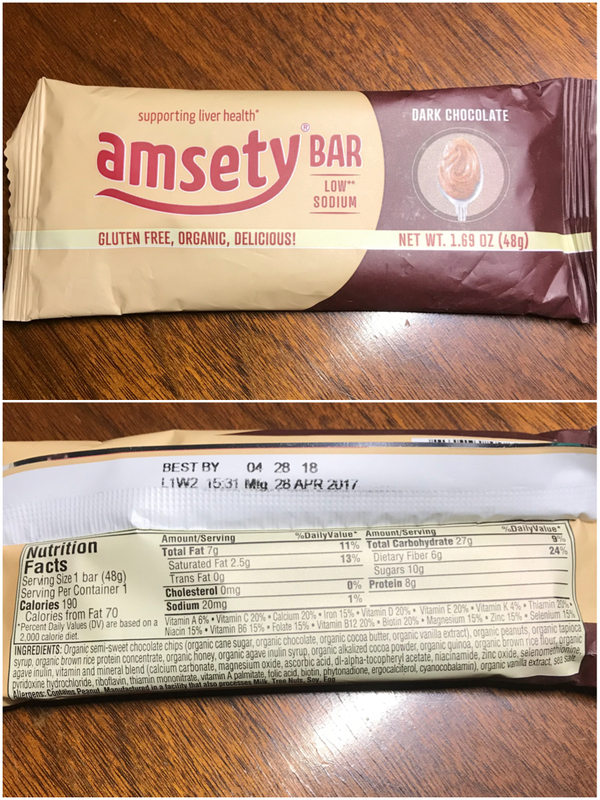 Amsety Bars – Amnesty Bar is the world’s only nutrition bar designed to support liver health. Developed by leading US liver health experts. Salad Power Juice – Salad Power is a drinkable salad – no fork required. By putting superfood veggies first, our juices are lower in calorie & sugar and higher in vitamins than all the other guys. Check out our labels if you don’t believe us and enjoy. Pasta chips?? Two things I love in one! And that Ally’s Bar looks amazing as well! The pasta chips just sound yummy! Not heavy on snacking but it’s always nice for me to find healthy stuff! Those buffalo peanuts look bomb!! There’s always such a variety in these boxes! Pasta chips!! I could never resist those. I love snack boxes, and these all look yummy. I’ve never tried a drinkable salad; they sound hassle-free! a lot of good snack options here. now I’m hungry!! I’d love to try the pasta chips! 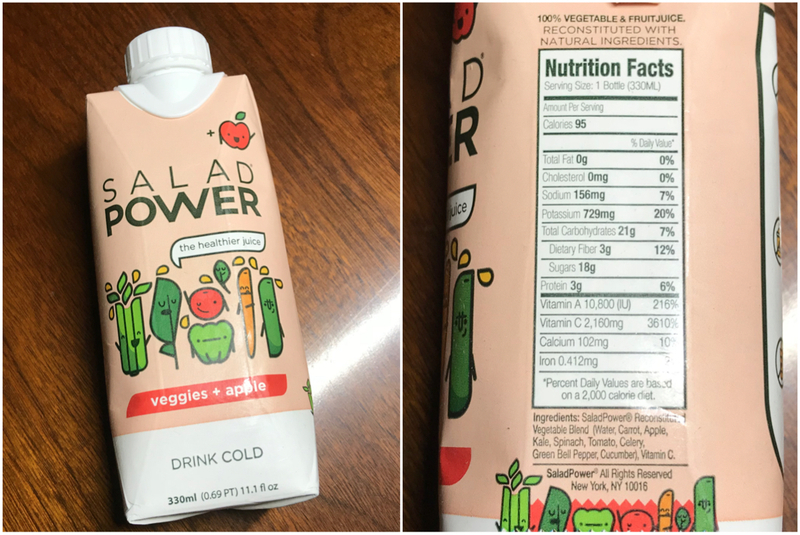 I am 100% intrigued by the Salad Power Juice. This box does sound great. I’m super fascinated by the energy bar mix! You’re gong to love the Kala Beans, they are so yummy! I didn’t get an Ally’s Bar, how was it? Lots of good-looking stuff here! I want those pasta chips.